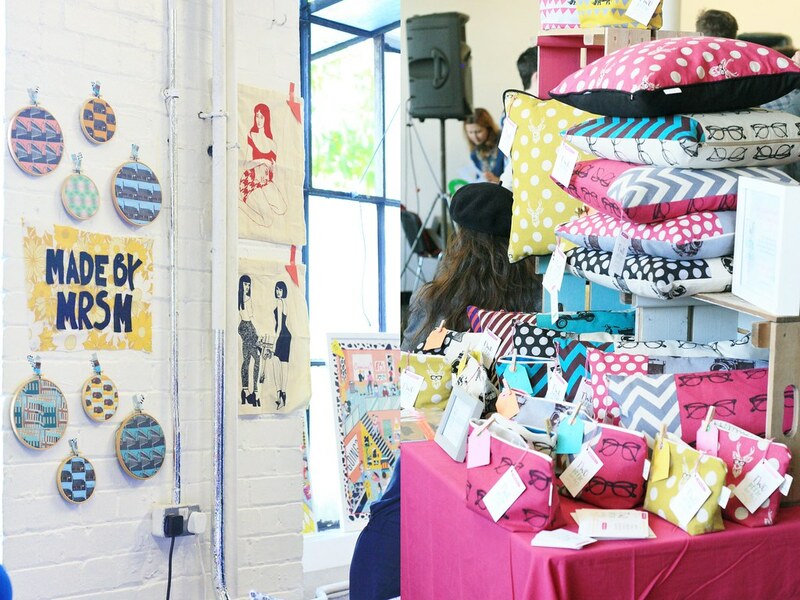 I visited the Crafty Fox Market in Peckham as I'd been following them on Twitter for a while. 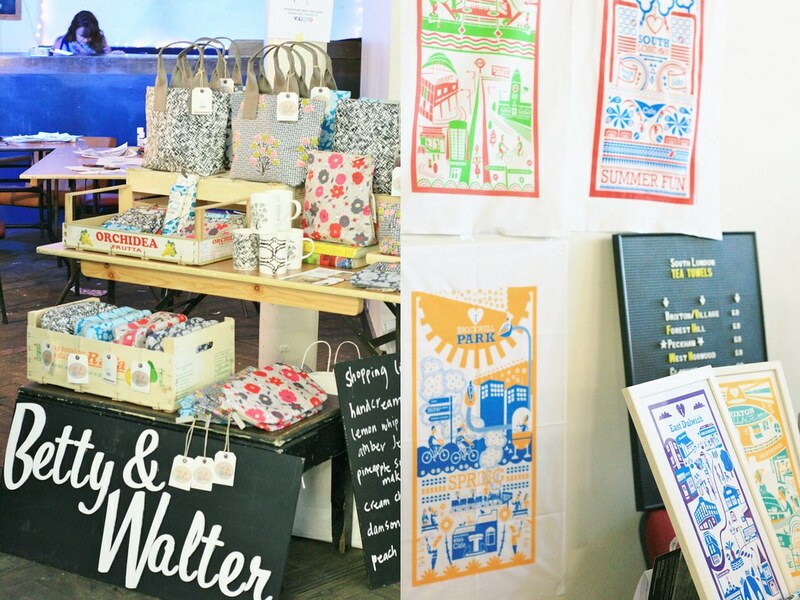 Crafty Fox collect together an assortment of independent crafters and get them all together in one place to sell their wares. And there were a lot of wares to sell! I had a lovely time poking around and admiring the handmade goodness, and also did two workshops where I made my own earrings (free!) and screen printed a bag. More on that in another post. While my purse didn't stretch to much in the way of spending, I did pick up a lot of business cards from the vendors as most of them sell online, and lots of the things available would make great gifts. The business cards will help me to remember which things had appeal so I could potentially shop with them in future. And lots of the cards were very pretty! The atmosphere was great - lots of people milling around, music playing and a whole assortment of drinks and nibbles available. 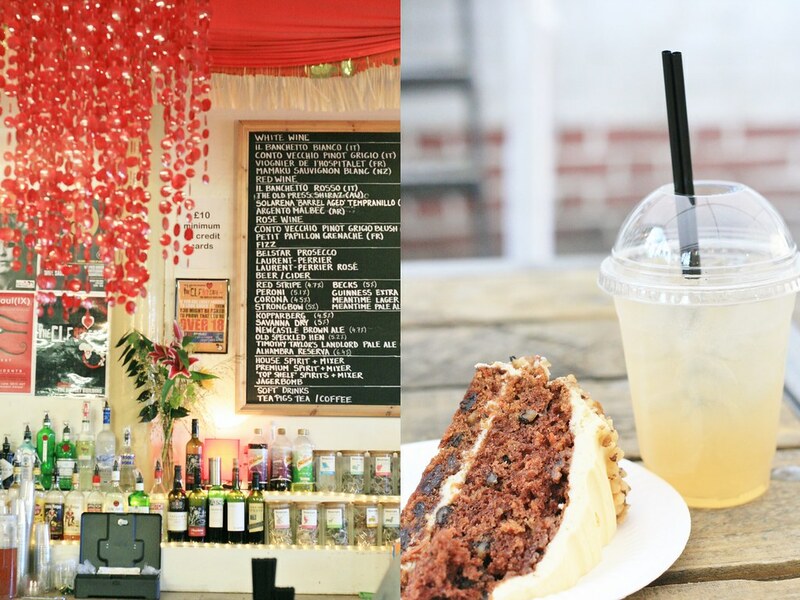 I loved the carrot cake and had an iced jasmine tea with ginger syrup, lime and lemonade. A very refreshing way to do tea and cake on a warm spring day! P.S. Heading to the Crafty Fox website will give you links to crafters. Oooh, this looks like a fun place to visit with girlfriends :) I would love the recipe for that drink, it sounds heavenly! That looks like so much fun. I'm very impressed you just collected business cards, so many tempting things to buy but how wonderful that you got to do some classes for free!